It seems just right that the manga chosen for Vertical by Adopt a Manga grand prize winner Alexa would be so very different from the manga she won. I’ll let her describe it. 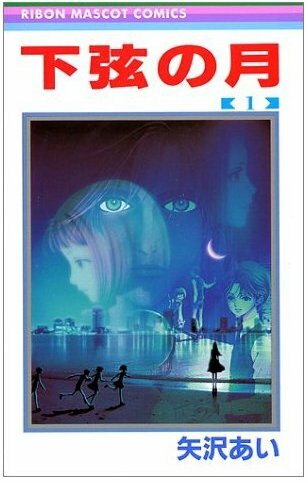 “I’ve decided to suggest Kyoko Okazaki’s Helter Skelter. 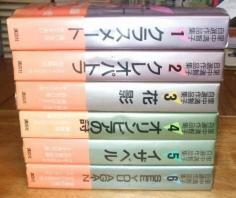 “It’s a one-volume manga. The art might strike some as ugly (though I personally find it quite stylish), which is ironic considering the main character, Ririko, is searching for perfection. She’s selfish, volatile, cruel to those around her, but beautiful; a model who’s utterly afraid of becoming insignificant, old, and of course, ugly. Thus she undergoes mysterious modifications to keep herself beautiful at all costs and some of the consequences on her physical and mental state are quite shocking. 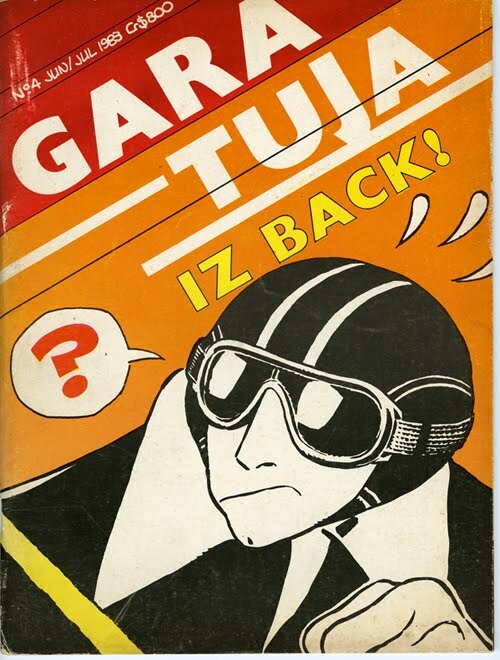 “If I was to compare Helter Skelter to other Vertical titles, I would liken it to Black Jack and To Terra. It’s similar to Black Jack in that it deals with the effects surgery can have on the mind and body, but from a feminist perspective. And like Keiko Takemiya, Okazaki is a female mangaka who continues to be relevant and revolutionary. Okazaki was hurt in a drunk driving accident years ago, and has been rehabilitating ever since. This saddens me, because I myself am a young woman, and want to see authors like Kyoko Okazaki who aren’t afraid to take on heavier subjects and portray women realistically as opposed to the soulless and stupid objects of desire. I’m persuaded! Now, let’s move on to the second-prize recipients. “I would very much like to see Paros no Ken (aka Sword of Paros.) 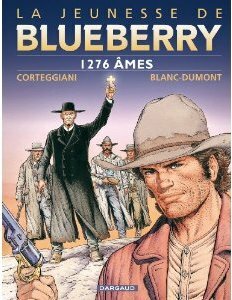 It’s a trilogy that could well be printed in a single volume. It’s classic shoujo and since Rose of Versailles will not be coming to Western shores in this lifetime,and Ribon no Kishi is also not yet being brought over by Vertical, it would make a good stand-in. 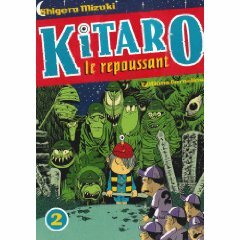 “Kitaro is one of the all time classics of manga by Shigeru Mizuki, one of Japan’s most beloved manga-kas. GeGeGe no Kitaro is a cultural phenomenon in Japan, and the franchise remains popular to this day over 50 years after his first outing in Mizuki’s manga series. It would not be hyperbole to say that Kitaro’s image in Japan is as synonymous with Manga as is Astro Boy’s. Despite this, apart from an impossible to find three volume bi-lingual release, Kitaro’s adventures in manga form have never been translated into English. Two factors that I would imagine contribute to this are the age of the manga (classic releases are normally not picked up by western manga publishers) and the subject matter, which is very much rooted in Japanese folklore/yokai which could be seen as to alien for non-Japanese readers, unfamiliar with the legends associated with the characters. 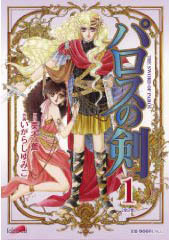 “1- Vertical has already gained a reputation for publishing highly regarded manga classics. “2- Vertical is not known just for its manga, but also for various other Japanese books that cover a wide spectrum of Japanese culture, which I feel the addition of Kitaro would benefit from and enrich. 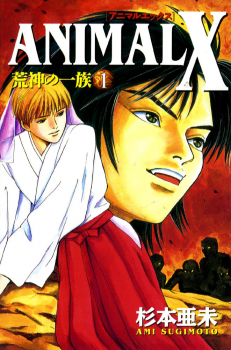 “I suggest Ami Sugimoto’s Animal X: Aragami no Ichizoku. 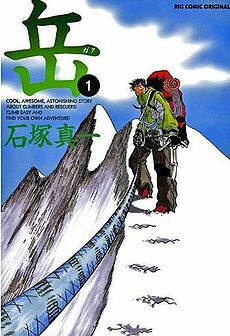 There are three series covering 16 volumes in the Animal X story, but Aragami no Ichizoku’s four volumes make up the first series and stands solidly on its own. It has a somewhat older art style like some of Vertical’s releases, but in its own way is beautifully detailed, attention being paid to not just the characters, but the atmosphere and backgrounds. 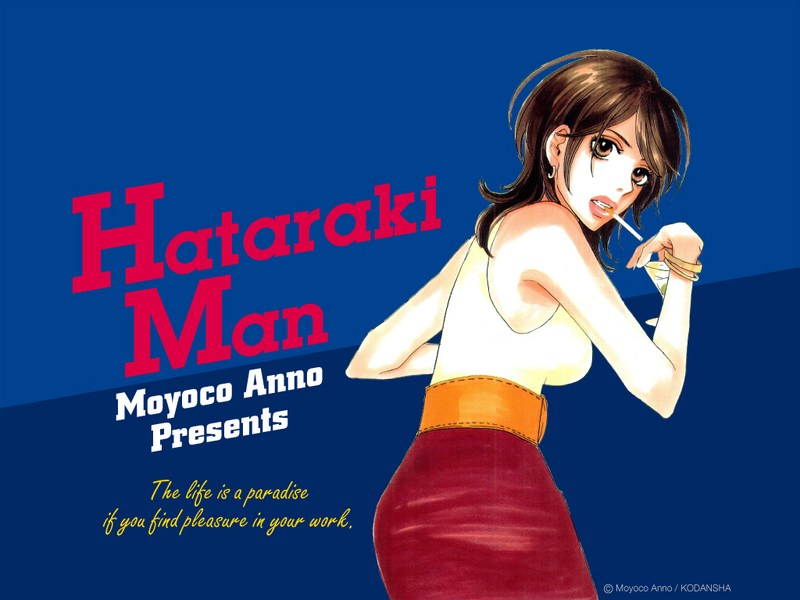 While released as a non-explicit BL series in Japan, this label becomes rapidly becomes fuzzy–while both ‘romantic leads’ identify as male, one of them is genetically engineered to be a fully functional hermaphrodite. “Ridiculous premise, you say? Yes, it is. However, the way in which this character in particular deals with his gender and sexuality confronts societal norms. He sees himself as a man, but he doesn’t see himself as part of a gay couple as part of him is female. Would he have any interest in the man he learns to love if he were a normal man? Can he balance the male and female aspects inside him? “The other characters have their own issues to deal with, as well as with each other; a woman whose fiancé isn’t who she thought he was. A scientist trying to cure a disease in a scientific community that shuns him. A boy whose whole community is razed to the ground in the name of public safety. A daughter bent on bringing honor to her family in the only way she sees left. “Despite the off-kilter premise of Animal X in general, the stories of the characters in it are told so that one forgets the scientific implausibility of the world and see the highly personal, intertwining stories of the people therein. 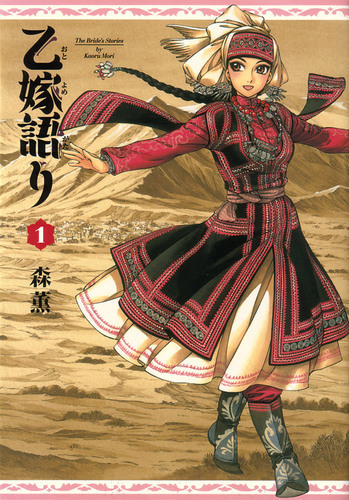 “My suggestion is Kaoru Mori’s new series Otoyomegatari. 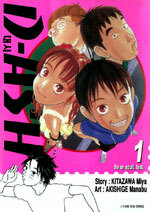 “I wanted to throw my two cents at you for a series called D-ASH with story and art by Miya Kitazawa & Manabu Akishige. It is the story of a young track star, who tries to balance his sexual awakenings & desires with actual legitimate relationships and the entirety of his future resting on the soles of his feet as he grows from a fairly idiotic young man into an adult. It is a series that runs 5 volumes and would require an adult rating or heavy editing, as they are some sexual scenes in it. Thanks to everyone who entered and to Vertical for founding the feast. 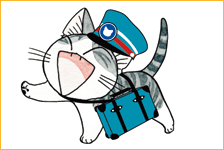 Need more inducement to enter the Adopt a Manga Contest to win a copy of Chi’s Sweet Home? Here are a couple of favorable reviews for your consideration. Announcing the Adopt a Manga contest! The bound-to-be-adorable Chi’s Sweet Home, written and illustrated by Konami Kanata, arrives next week courtesy of Vertical, and that publisher has been kind enough to sponsor a give-away of some copies of the manga. 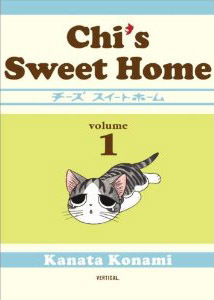 I haven’t read it yet, but Chi’s Sweet Home, featuring the charming adventures of an orphaned kitten, has a special place in my heart. It was the first of my license requests to be fulfilled by a publisher. The thought of that lifts my spirits in these dark and contracting days, so that’s helped me decide the theme for this contest: Adopt a Manga. To enter, please suggest a manga that you think is particularly appropriate for Vertical and briefly explain why. 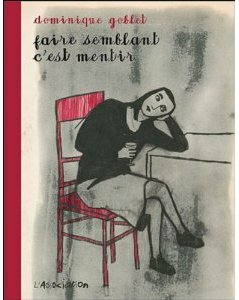 (It’s wide open, really, as they publish both classic and contemporary works.) Ed Chavez and I will pick the ones that seem most suited to Vertical and, should more than one entrant suggest the same title, we’ll pick the entry that most succinctly and effectively makes the case. One lucky entrant will receive copies of the first and second volume of Chi’s Sweet Home. 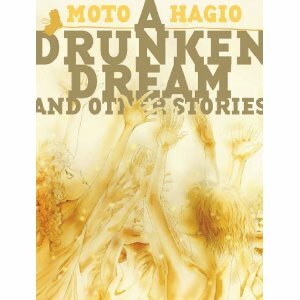 Five other entrants will receive copies of the second volume. Deadline for entry is midnight Eastern Standard Time Tuesday, June 29, with winners announced on Wednesday, June 30. To enter, email me at DavidPWelsh at Yahoo dot Com. 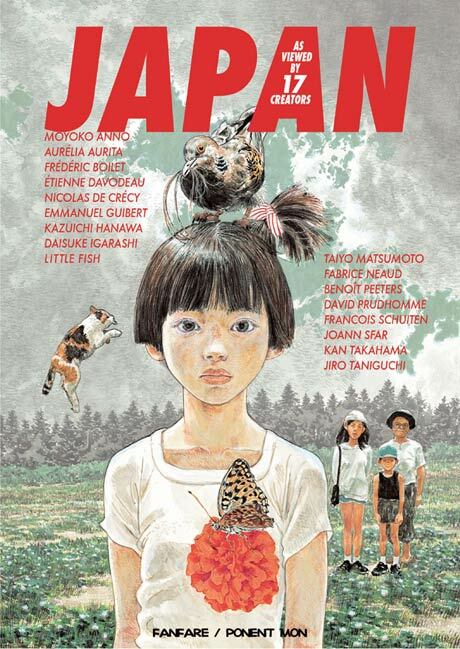 Congratulations to Lorena (i ♥ manga) Nava Ruggero, who won a copy of Japan as Viewed by 17 Creators (Fanfare/Ponent Mon)! What tops Lorena’s wish list? 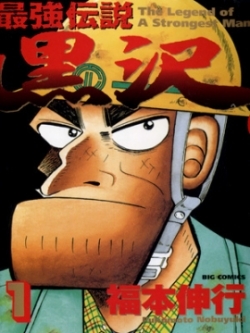 “Took me a while to think up which Fukumoto manga I’d write up in this mail but since most of the other options are almost impossible to get licensed (Akagi & Ten are about Mahjong plus they move at a very slow pace, and while Gambling Apocalypse Kaiji is more likely to get licensed, content-wise, it’s more than 40 volumes long), I’ll pick Legend of the Strongest Man: Kurosawa. You are currently browsing the archives for the Contests and giveaways category.